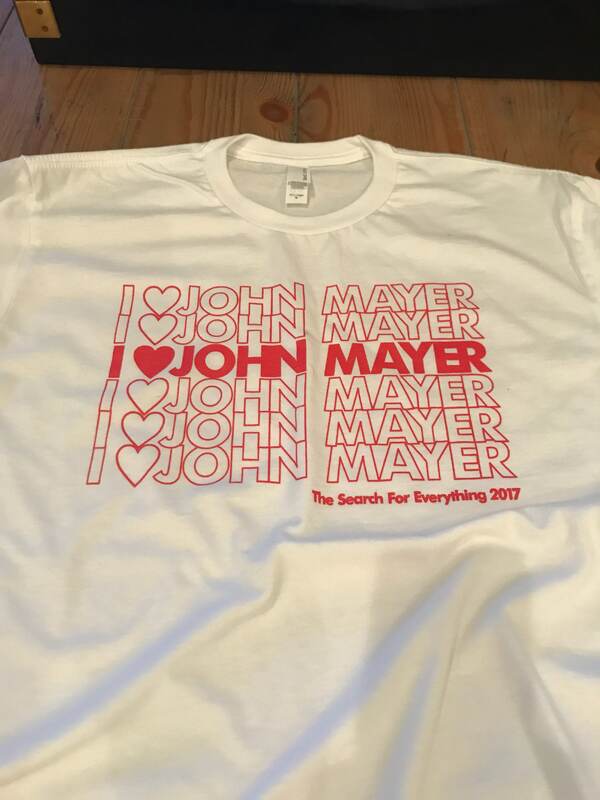 Show your John Mayer obsession with this unique custom printed super comfy unisex boyfriend fit T shirts. Model is wearing a size in picture is size medium. They do shrink in a hot dryer. But only get better with wear. 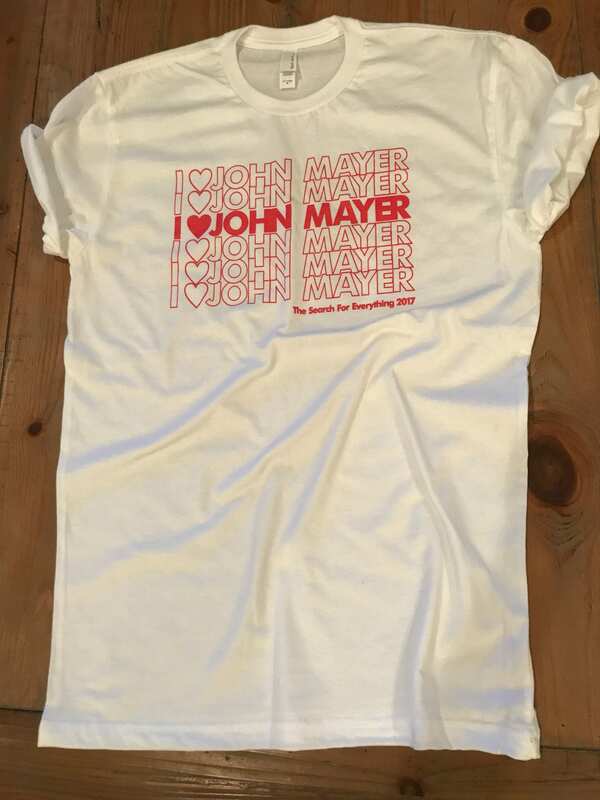 We promise it will be a Favorite Tee. 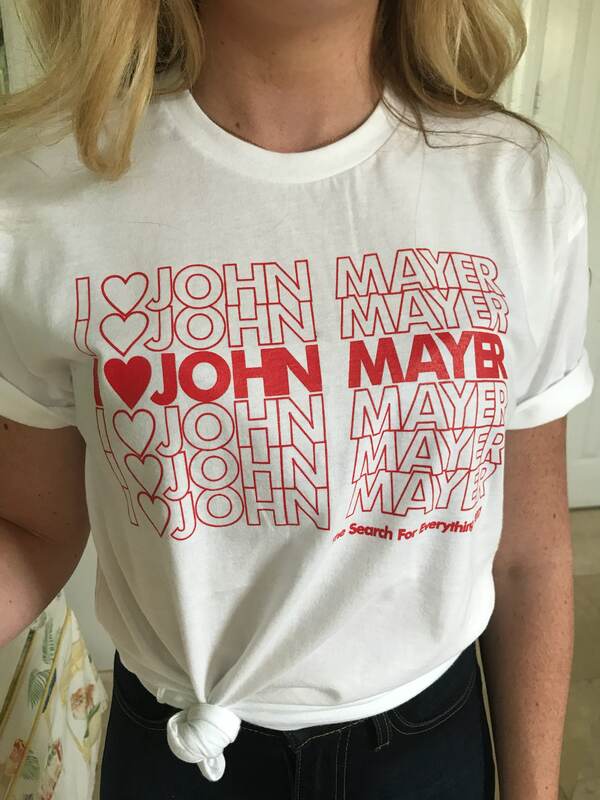 I love me some John Mayer and I LOVE this t-shirt! Went to this tour and didn't like any of the merch they had there, but I love this shirt!